The more I got into making my own lumber, the more I really needed a trailer. For years, I had want my own trailer outfitted with a loading mechanism. When I had the money, I picked up this old equipment trailer which needed a good amount of work to be ready for my needs. I’m happy that I got a trailer that needed work because I could customize it exactly how I wanted and it was such a great learning experience. You are currently replying to a comment. Cancel your reply and create a new comment. Hey Matt I’m in the market for a trailer for long hauling. What weight axles do you recommend? I have dual 3500s and get to capacity pretty quickly. If you can find dual 5000s, you’d have a bit more flexibility. Hey. 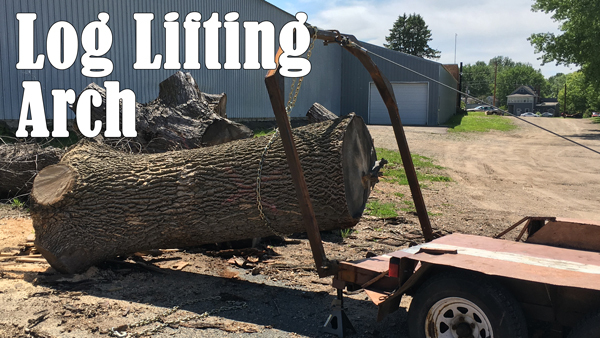 Matt I’m building a log lift for my trailer and I’m not sure what size winch to buy can you tell me a little about your winch and cost? I use the 12000lb winch from Harbor Freight. When you’re winch shopping, pay attention to the line pull at the various windings. For instance, the one I have only pulls 6000lbs when it’s on the top winding, ie when almost all the cable it retracted.